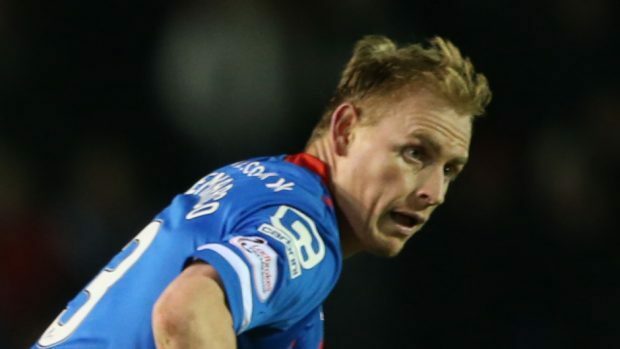 Carl Tremarco could remain with Caley Thistle until 2019. Caley Thistle defender Carl Tremarco has finalised the contract extension which is set to keep him with the Highlanders until 2019. Tremarco, who had been out of contract at the end of the current season, last week agreed terms on the new contract which initially keeps him at Caledonian Stadium until 2018, with the Englishman holding the option to add a further 12 months. The 31-year-old has been an impressive performer for Richie Foran’s men this season, netting five goals from left back, including a consolation in Saturday’s 2-1 defeat by Dundee. Tremarco could be joined in the starting line-up for Saturday’s trip to St Johnstone by defender Brad McKay, who is nearing a return from an ankle injury suffered in the 3-1 defeat by Aberdeen this month. McKay left the field on a stretcher following a challenge by Dons defender Graeme Shinnie and, despite last week being given a 50-50 chance of playing against Dundee at the weekend, the former Hearts defender missed out. With fellow right back Lewis Horner suspended for the Perth encounter following his red card at Dens Park, McKay could be in line for a quick return to the side. Foran said: “Brad was looking in a bad way when he came off against Aberdeen but the boys were giving him a lot of stick for using the gas. He was in a lot of pain and there’s a lot of swelling around his ankle.